Maznek Septic Service is a full-service, family-run septic company servicing south-central New Hampshire. Our focus is – and always will be – septic health and maintenance. We believe in educating our customers and informing them of the condition of their tank. Every septic system has a lifecycle. As licensed septic designers, we can provide a state approved septic plan and installation when the inevitable happens. 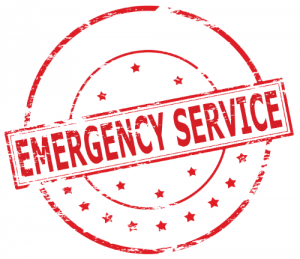 Our septic emergency services are available 24/7. Larry Maznek has a background of nearly 40 years in commercial construction. He has been a licensed septic designer and installer since 1990, and a certified evaluator since 2009. He started Maznek Septic Service in 2011 after retiring from the carpenters union. His knowledge of construction and keen awareness of how systems work provides extra value to his clients. As a resident of Bedford, New Hampshire, for nearly 20 years, Larry coached multiple youth sports programs in his community. In his spare time, Larry can be found dabbling in small construction projects, or boating on Lake Winnipesaukee. Larry is also a certified private pilot. On a nice day, you might see him flying over the Nashua airport in a Cessna 172. Larry is the current President of NHASH – New Hampshire Association of Septic Haulers. Patrice Maznek is a fifth-generation Californian who moved to New Hampshire in 2013. She met Larry at the Nashua Airport and went to work for Maznek Septic in 2015. In the summer of 2016, Larry and Patrice were married. Patrice has an extensive background of over 30 years in office administration and as a paralegal on the West Coast. Patrice handles all of the office management, billing, and operations duties at Maznek Septic Services. Patrice became a “Gold Star” mom in 2011. She has a passion for veterans and serves on the board of Veterans Count, an Easter Seals program providing assistance to meet the needs of our veterans. Just some of her wide varieties of interests include gardening, golfing and crafts. She is an avid New England sports fan. Patrice really enjoys singing. In 1976 she toured around the world with the Continental Singers. Patrice produced a solo CD of her music in 2011. Trace Uhlinger is also Californian-born, coming to New England in 2016 to work for Maznek Septic Service. Trace is the “mechanical genius and technology guru” at the company. If it has a software program, Trace either knows how to use it, or can figure it out pretty quickly. In busy times of the year, Trace is pumping out septic tanks for customers, performing evaluations and operating the sewer line video camera. For relaxation, Trace enjoys gaming, movie trivia and loves all sports. In fact, he was named after Trace Armstrong, a defensive end for the Chicago Bears. Although he never played football, he is a “natural” at baseball and enjoys a good game of golf. Like his mom, Patrice, Trace also enjoys singing. Trace’s fiancée Crystal also works part-time in the family business.